Mater Dei-Instituut is a school nearby Antwerp. In 2011 they took part in Broederlijk Delen and they selected TAPs as sponsorship project. Through various actions (running with sponsorship cards, breakfast service at school, door-to-door collection, etc …) of both students and teachers, they had gathered a total of € 2,000. A fantastic amount! A sincere thank you to all students and teachers who have made this possible. They gathered € 1.700 at this great party! 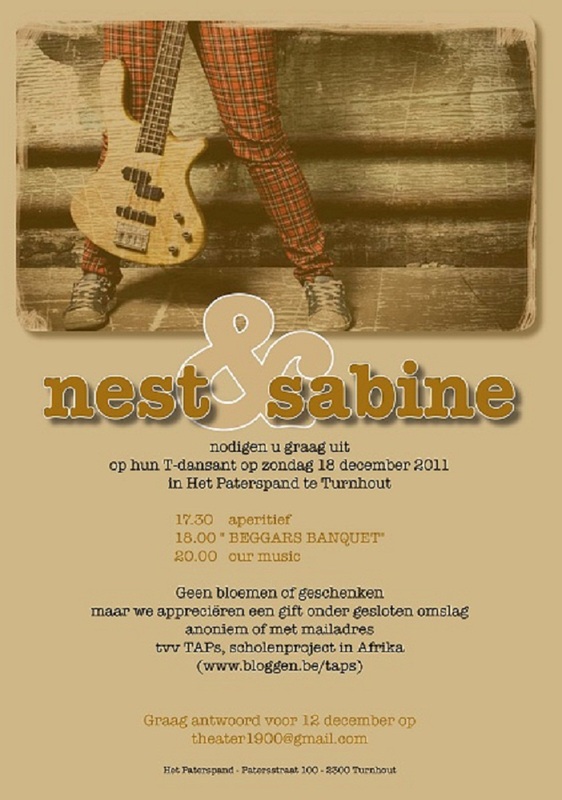 Thank you very much Nest & Sabine! 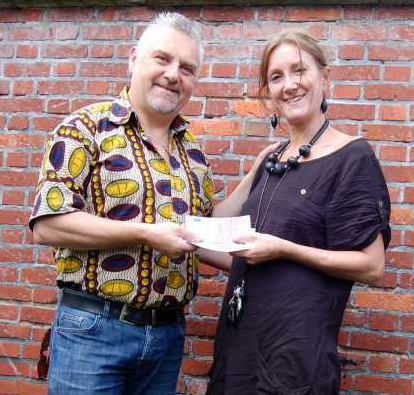 Peter Gevers of vzw Baobab hands over € 2.144 to Han Van Roy of TAPs. This important contribution was gathered during T-Wood Tropical. 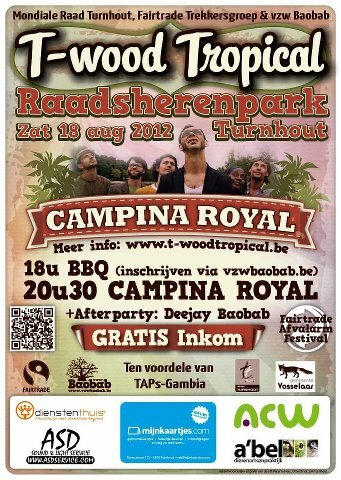 A BIG THANKS to vzw Baobab, Mondiale Raad Turnhout and Fairtrade Trekkersgroep! 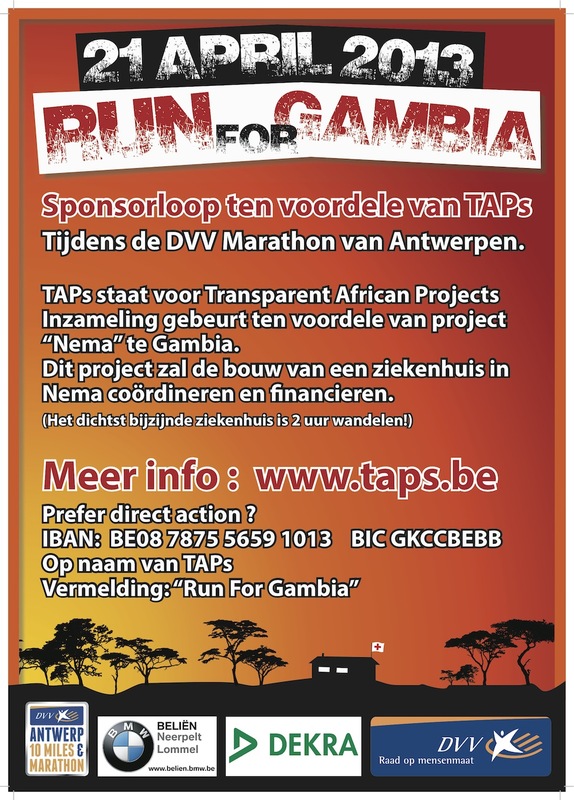 In 2012 they repeated the action of 2011 and the raised € 3675,85 for TAPs! ONCE AGAIN A BIG THANKS TO ALL THE STUDENTS AND TEACHERS OF THE MATER DEI INSTITUUT IN BRASSCHAAT! A big thank you to all the participants of this marathon. You have raised € 1.251,20 !